CANTON, Mass. 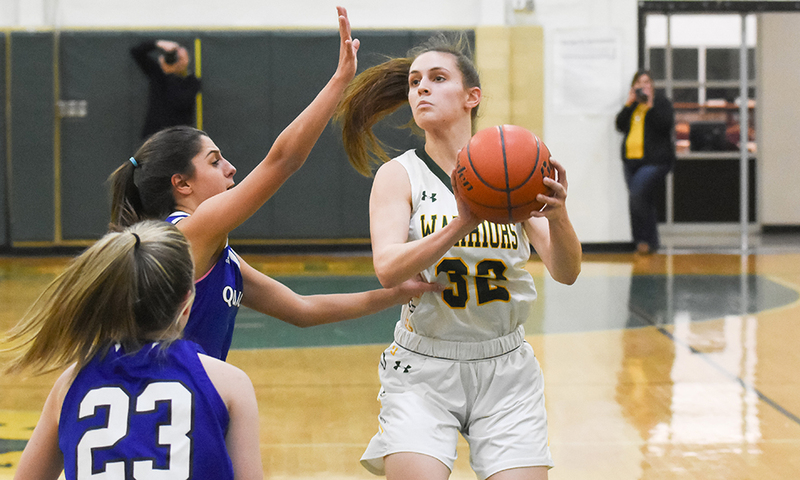 – King Philip kept fighting back in the second half, closing the gap to as little as five points in the fourth quarter, but for the second time in three games Canton went to the free throw line and sealed a victory. Five days before, Canton came from behind to beat division rival Stoughton with nine free throws in the final minutes. 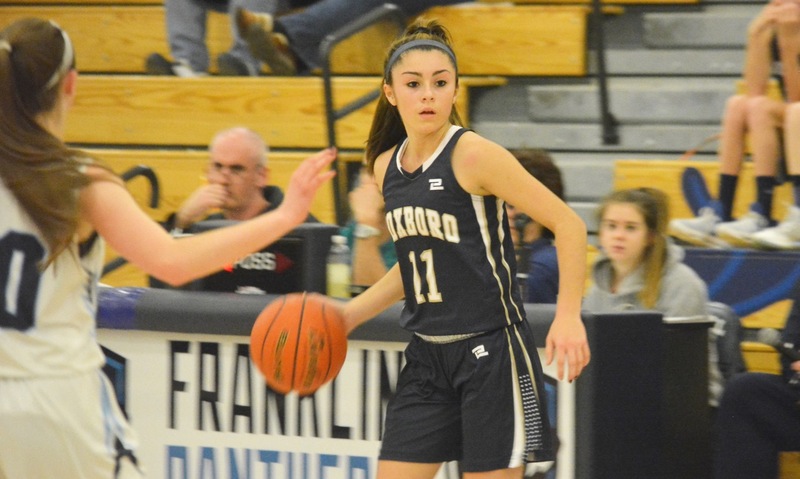 On Tuesday night, at home, the Bulldogs were at it again, shooting 11-of-12 at the charity stripe in the fourth quarter to hold off the Warriors and pull out a 53-41 victory. It is a fourth straight victory for Canton. 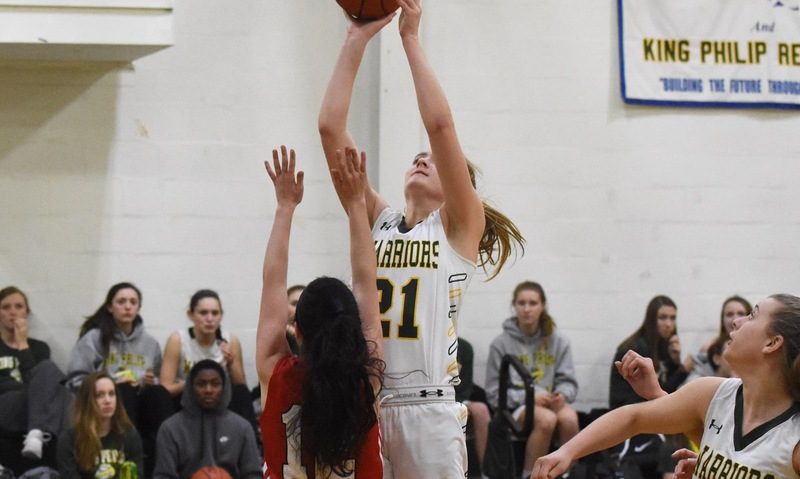 The Warriors needed to come from behind with a strong fourth quarter to beat Taunton last time out and got off to another tough start on Tuesday. Canton jumped out to a 15-4 lead in the first quarter. Julia Hamilton scored six of her game-high 14 points in that run, knocking down a pair of three-pointers, and freshman Fay Gallery scored five of her 13 points to get Canton off to the perfect start. 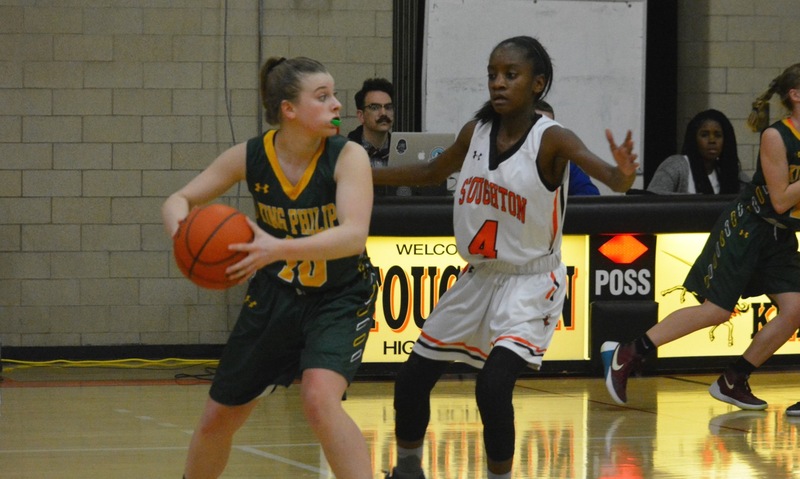 KP did cut into the lead as leading scorer Faye Veilleux (14 points and 12 rebounds) knocked down a corner three and then a pull-up jumper in transition, but Lilah Milton’s offensive rebound and putback put the Bulldogs up 17-9 after one. The second quarter was a defensive struggle. 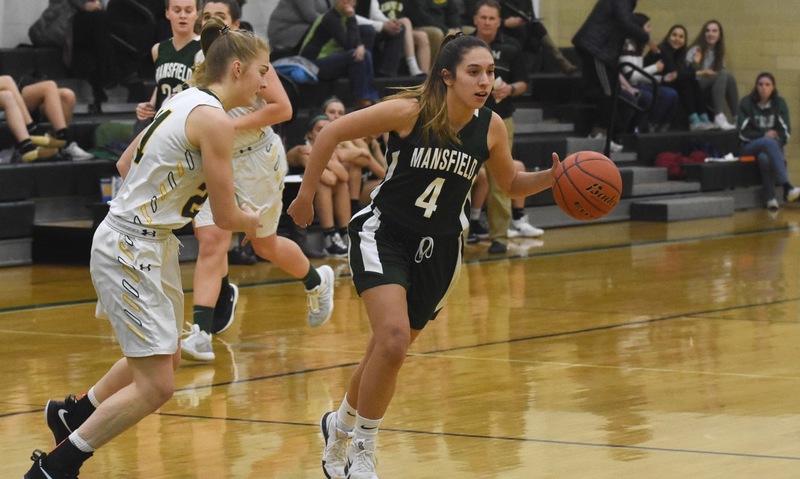 Kiara Cerruti (10 points) nailed a three off a Hamilton assist to start the scoring but Canton managed only eight points in the quarter. Gallery also hit a three and Erin Devine scored on an offensive rebound, but that was all. Despite the lack of scoring, Canton extended its lead by a couple of points because its defense held the Warriors to just six points in the second. Caroline Aaron scored on a back-cut and nice dish from Emma Glaser and then Faith Roy (five points) drilled a three, but it was a 10-point lead for Canton at the break. Things picked up offensively for both teams in the third quarter. Cerruti started the third with a three but KP cut the lead down to just eight. Catherine Cummings, Glaser, Julia Leroux, and Taylor Butler all scored buckets to get the lead down to single digits. Cerruti scored off a steal and then Hamilton drilled another one from beyond the arc to get the Bulldogs back on track and give them an 11-point cushion heading to the fourth. KP scored the first six points of the final quarter, as the game got even more frenetic. Veilleux scored twice and Butler knocked down a jumper to make it 38-33. Canton answered right back with a 6-0 run. Hamilton sank a pair at the line, Sydney Gallery (six points) got a layup, and Fay Gallery (five steals) got an offensive rebound and scored. Brianna James scored and got fouled. She missed the free throw but KP got the offensive board and Veilleux swung it around to Courtney Keswick for a basket. Trailing by nine, Veilleux managed to fire a pass from halfcourt to James for another layup. It was KP’s last basket. 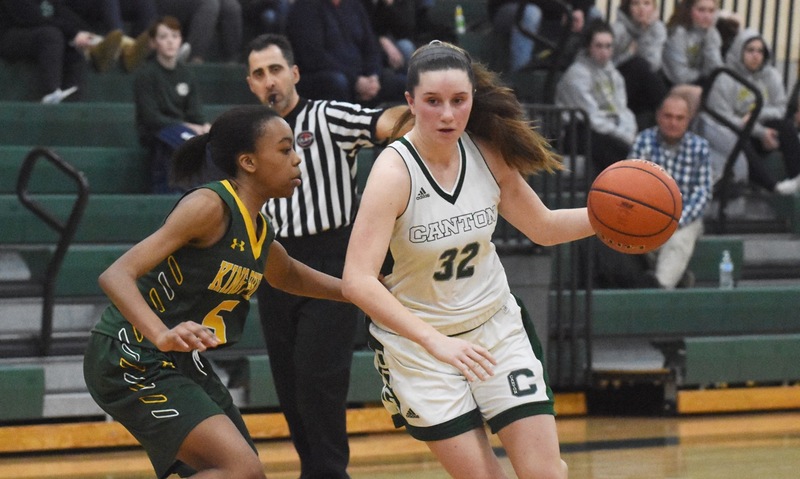 Sydney Gallery and Maggie Connolly (nine rebounds and four steals) each hit a pair at the line and Canton walked away with a fourth victory in the last seven days. Canton (5-2) will try to keep the momentum going on Friday night at Sharon, while King Philip (4-2) will try to bounce back at Attleboro.